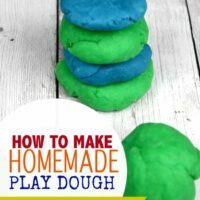 Homemade play dough is one of the best homemade projects you can make with the kids. The process is easy enough to allow the kids to do most of the hands-on work and lets them feel like theyre playing a big role. You can get creative and mix up any color batch of play dough you wish, and they can play with it for months and months. Best thing is you know exactly whats in your play dough so youre only using ingredients you are comfortable allowing your kids to play with. After its cooked it comes out super soft and silky. Enjoy! These 9 Footprint Crafts Boys Will Think Are Cool are perfect to keep them busy while stuck indoors during these super cold days. Boys will love designing and craftign up these 12 Paper Airplanes and Boats. Check out these 30+ Salt Dough Crafts for Kids — so much fun! Never hear “I’m Bored” with these great books, sourced by the team at Spaceships and Laser Beams, they will want to read over and over again. Check out more great indoor activities kids will love. Place the flour, salt, cream of tartar, water and vegetable oil in your cooking pan and mix all the ingredients together. The mixing process is a great time to let the kids help because little ones love to be in the kitchen. To form your play dough mixture, place it on the stove on low heat and cook for about 4-5 minutes. I stirred my mixture occasionally to make sure all the ingredients were blending together. Before the play dough forms a dough ball youll want to add your food coloring. In order to use 2 colors, you need to make 2 separate batches unless you want to separate the dough at the end. Separating the dough at the end and adding in food coloring will give you more of a tie-dyed color look. Stir all the food coloring in and wait for the liquid to turn into a dough ball. Once the cooking process is complete, remove from the pan and lay on foil to cool for about 5 minutes. Once its cooled the kids can start getting creative and playing with their homemade play dough. When theyre done playing with it, store in a Ziploc baggie or airtight container to keep fresh. Great recipe for play dough.